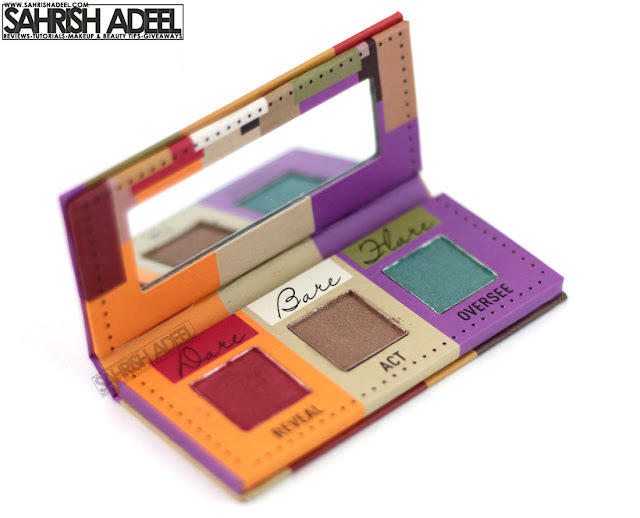 Free Mini Eye Shadow Palette + 10% Discount on Sigma - March 2013 | Sahrish Adeel - Malaysia based Pakistani Beauty & Lifestyle Blogger! The deal is here again. Remember my haul post when I got a free Mini Eye Shadow Palette by Sigma with my purchase over $30? Well, they are giving free mini palettes again for the month of March. Details and more pictures of my mini palette are in the post. Last time I got this mini palette and it had one shade from each of their initial palettes; Bare, Flare & Dare. The shades were Reveal, Act & Oversee. 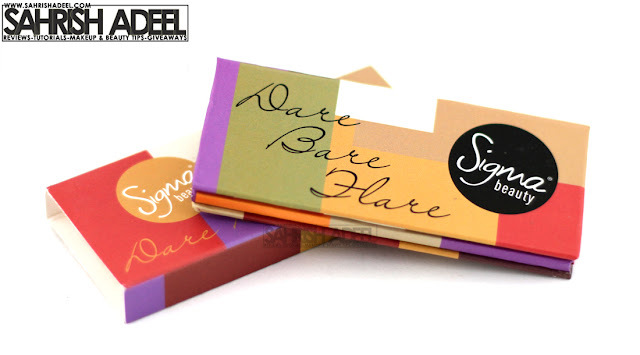 This time the free mini eye shadow palette is featuring shades from same three palettes but the shades will be Surrender (Dare), Command (Bare), and Publicize (Flare). You can click on the links to see the shades. Last time my order without shipment charges was for $30.60 (after a 10% discount of $3.40). 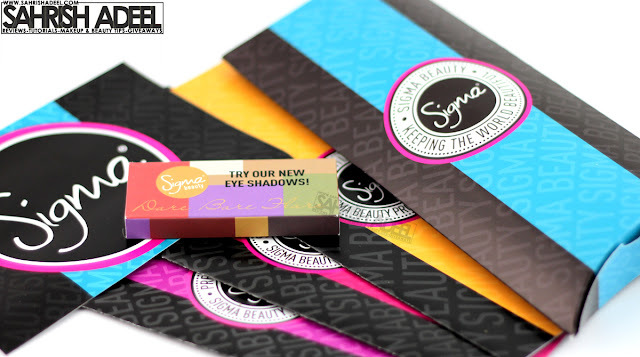 Sigma is offering a Mini Eye Shadow Palette with every order above $30 (excluding shipment) but only for the month of March 2013. You can see the full sized eye shadow palette over here. I really like this mini eye shadow palette and since it comes with a mirror, I like to keep it in my travel bag while traveling. 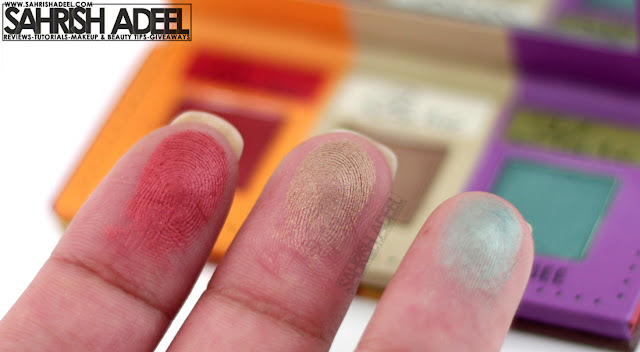 In last palette, they had combinations of three shades which are perfect to create multiple eye makeup looks and this time the combination looks even better to create a bit of smokey and natural looks. You can go to www.sigmabeauty.com to make your purchase and seriously, don't miss this offer. I availed it last time because before that, this palette was only for orders above $75. About shipment time and charges, I paid about $11 last time and it was without tracking but my order reached me in about two weeks which is incredible. To get 10% off your entire purchase, you can use coupon code SAVE2013 (valid till March 31st, 2013). You can browse the whole range of products by Sigma by clicking here. If you need any help, use the contact form and I will get back to you as soon as I can. *Discount coupon code is valid for any order without any minimum purchase but free gift is only for orders above $30 (excluding shipment).